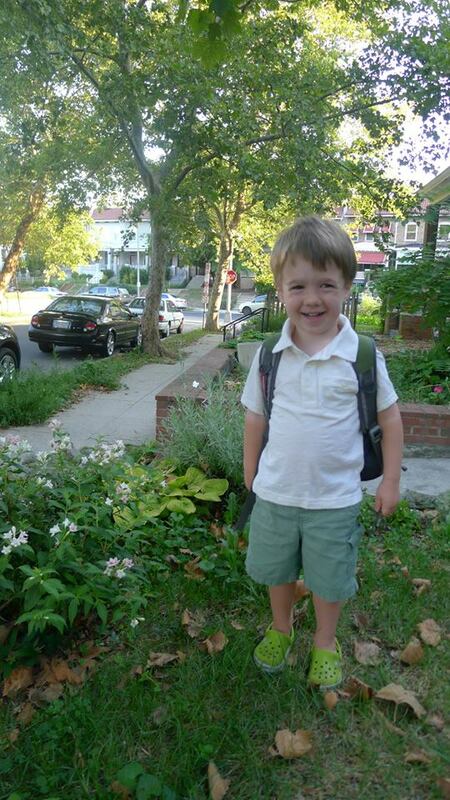 Finn Starts PK3 | The Sasse's of D.C.
Finn started his new school in our neighborhood called Breakthrough Montessori! He is almost 3 1/2 years old. Ryan and I are both new to the Montessori approach so have been reading about and adopting some new things at hope to help transition Finn. The approach focuses heavily on independence and the child being part of day to day activities so Finn now packs his own lunch, has his own snack drawer at the house and his milk and water bottles are reachable in the fridge for him to get as needed. This is a new school and Finn is part of the inaugural class entering in. There are 18 children in his classroom and his first week has been a success – easy drop offs and pick-ups with smiles all around. 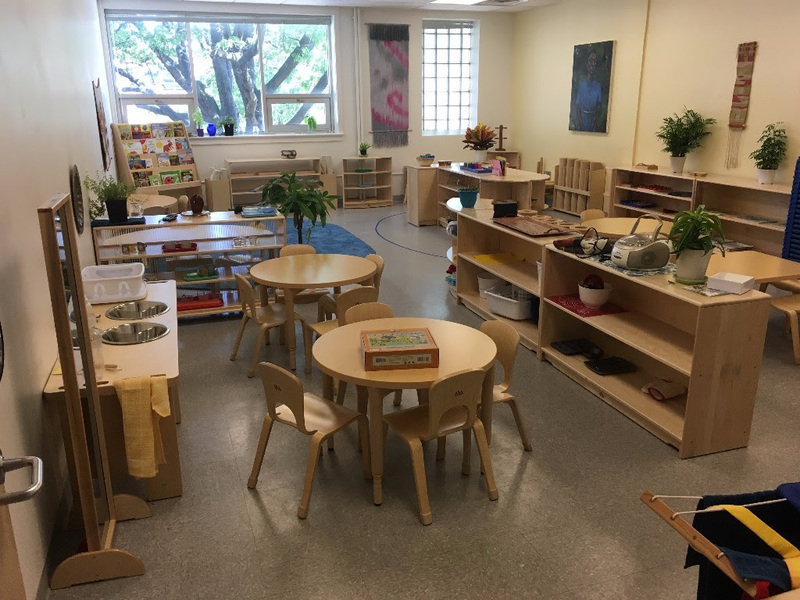 Below is a shot of his classroom. 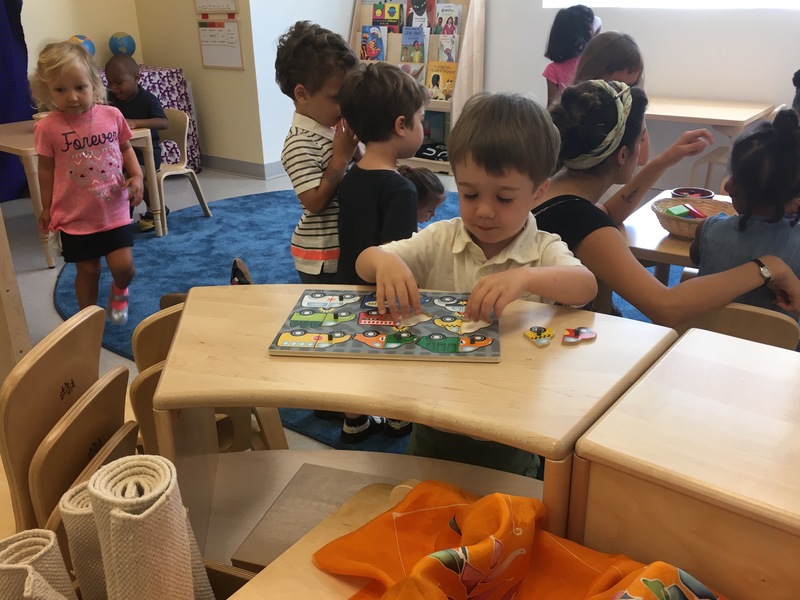 They are light filled, very clean, and filled with interesting activities and choices for Finn to select as part of his learning time with the 2 teachers in the classroom. We look forward to what is to come! This entry was posted in Finn. Bookmark the permalink. I was so happy to be there when Finn went off to his first day at the Montessori school and delighted with his skills at making his lunch.